As someone who lives nowhere near an official Rilakkuma store, ordering Rilakkuma plushies is pretty tricky. 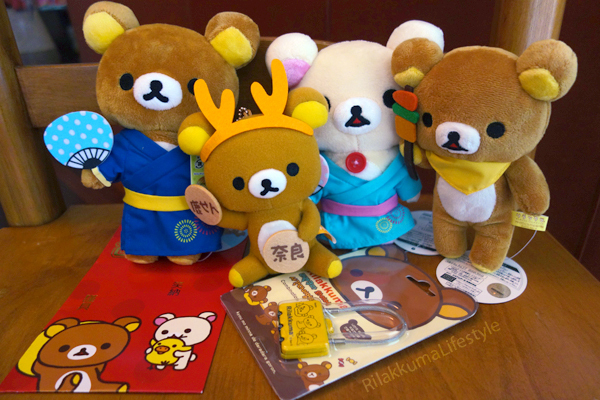 I hope to pass on tips I’ve learned over the years to fellow Rilakkuma fans and collectors! I’m opening up my Rilakkuma Reference Sheet for everyone to see! These are basically the notes I use to keep track of Rilakkuma plushie releases. Because San-X sometimes separates out their news over a few different sites (especially with their recent site overhauls), I decided to compile all the links to remember all the old series! The only major thing that really bothers me is that I had to remove a lot of the old Net Shop links because most of them got broken in the recent revamp, booo… I tried to link them to other similar “official” pages like Net Shop Blog posts, but I think I might be missing a few (e.g. the 2011 Net Shop Exclusive links to the Modes4U post right now haha). It’s a shame because Net Shop Exclusives are some of my favorites. Obviously, I come from a huge Rilakkuma plushie angle, so many of the non-plushie releases I probably skipped over. Fansclubs – the Fansclub website already does a wonderful job timeline-ing their releases, so I usually just use theirs. Anyway, I hope this can be a good resource for some people who want to look at the history of Rilakkuma. For example, seeing how many plushies came out for Rilakkuma’s 5th anniversary makes me understand why there’s so much happening this year for the 10th! Right now, I mainly use it to predict what time in the year to expect big releases and such, so my bank account can prepare itself appropriately, of course haha. 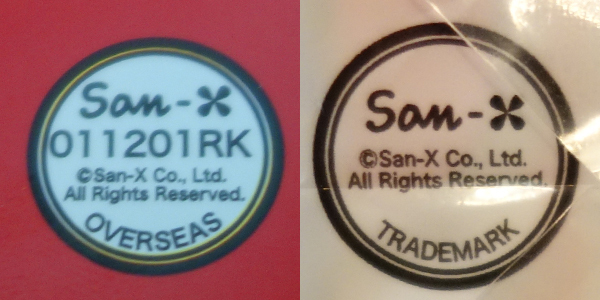 Basically, licensing concerns products that feature Rilakkuma designs with the official permission/blessings of San-X, but are not made directly by San-X themselves. 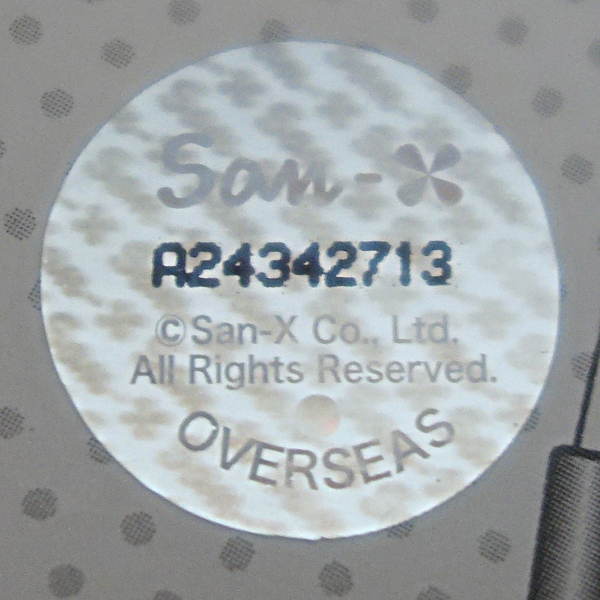 For example, if you were a tech accessories company and you wanted to produce and sell Rilakkuma laptop covers, you would have to get the Rilakkuma license from San-X in order to legally use Rilakkuma’s design on your merchandise, and the license would be different depending on whether you were based in Japan or not. For reference, the vast majority of plushies in my collection (and featured on this blog) are made directly by San-X, and my authenticity and quality guide is based around the San-X plushies. Additionally, licensed goods differ from the campaign/collaboration goods because licensed goods generally come from other toy companies themselves: campaign/collaboration goods are generally a seasonal offering with a non-toy related company. As the name implies, campaign/collaboration items are often focused on the joint nature of the two companies, like buy a Pizza Hut pizza and get a Rilakkuma pizza cutter … or a promotional campaign like buy a bunch of Lawson food and get a Rilakkuma plate – while licensed goods generally just feature Rilakkuma with little input in design from the company producing it. Other examples of campaign/collaboration goods include Mister Donut, KFC, and Pancake Days. Some of my favorite Rilakkuma plushies – like my Fansclub UFO Catcher plushies – are made under license, not directly from San-X! Most recently, my Nara Rilakkuma was a product of HNA with a Rilakkuma license. I also have Rilakkuma furikake from Nagatanien, a combination lock from Bestin (Korea), and angpau (紅包) from Sun Hing (Hong Kong). They are all wonderful and I can’t imagine my collection without them. Some of my Rilakkuma licensed goods! When I started collecting Rilakkuma, I used to get confused with how Fansclub fit in with the San-X world, but fortunately, Fansclub plushies have a pretty consistent look and format to them, and they are cataloged by Fansclub meticulously. At first, I wasn’t sure if my Nara Rilakkuma was legitimate or not because he had such a different look, but this got cleared up as I started looking into Rilakkuma licensing. However, I think things do start to get a little confusing when other other plush toy companies receive a Rilakkuma license. In addition, Sun Hing Toys, the company that produced my angpau, also has a licensed Rilakkuma plushie line, and there are probably several more companies out there I haven’t mentioned, too. I don’t really know how I feel about these because they seem somewhat inconsistent with the other San-X Rilakkuma plushies (e.g. the tag is on the ear?? ), but your mileage may vary. 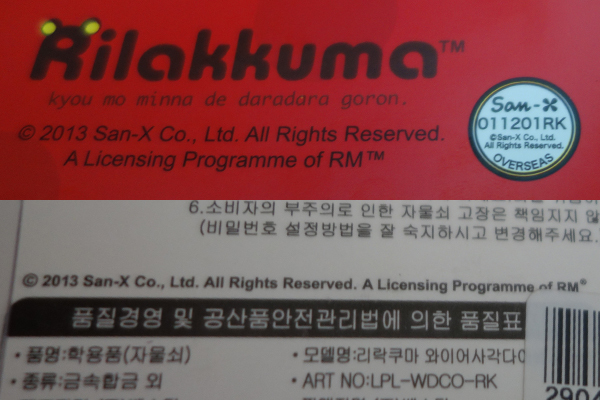 Basically, companies holding official Rilakkuma licenses are all over the place in terms of quality and design, so it’s really hard to apply all the authentication guidelines that we’ve worked so hard to craft as a community, but the good news is that it is rather easy to tell which ones have the official seal of approval from San-X. 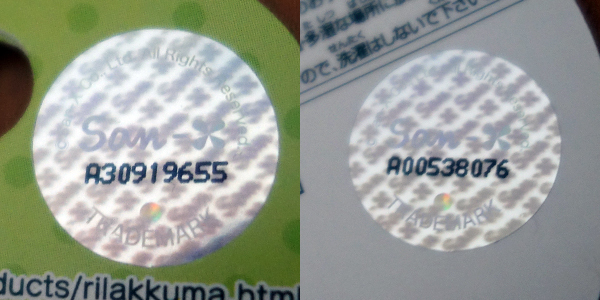 The printed licenses follow a similar format, but without the fancy holographic stuff. They’re not as consistent as the stickers, but generally most of the information is still there. As a complete disclaimer, the licensed goods I’m looking at have been released in the past 3 years – I think the designs might differ slightly in earlier licenses. If you’re unsure about a company’s license status, it is pretty easy to look up the company online – they usually list their license information there. After that, it’s up to you whether the quality of the product is up to snuff, I guess haha. As an additional note, I think the San-X Rilakkuma Blog only posts about the domestic licensed stuff occasionally, not the overseas licensed products. Also, Rilakkuma Stores stock domestic licensed goods (I’ve seen HNA, Re-Ment, Nanoblock, and a bunch of food products and more), while I don’t think they do with the overseas ones. What do y’all think about licensed Rilakkuma goods? Do you have any, and if so, which ones/brands? Personally, I love my licensed goods – most of mine are domestic products, and I think their Rilakkuma goods are very diverse and well-developed! However, I’m not sure if I’d buy a licensed plush outside the Fansclubs, but I guess I’ll have to assess them when I see one in person. How to order internationally from the San-X Net Shop using Tenso! Buy directly from the official San-X Net Shop! First off, the San-X Net Shop is a great way to access Rilakkuma products if you don’t live in Japan. They have hundreds of Rilakkuma items in stock, and they also run a pretty fun blog with additional product photos. They generally don’t stock the store/event exclusives, but they do have cool Net Shop exclusives from time to time (like Mushroom Rilakkuma/Squirrel Korilakkuma), and a ton of housewares. Importantly, items are released on the same day as Japanese Rilakkuma Store releases (stores outside of Japan will generally have a delay). The San-X Net Shop, operated by emix, does not ship internationally, but they do work closely with Tenso, an international shipping service. You can even see a little Tenso ad at the bottom of the San-X Net Shop home page! There are a few other international forwarding services like it, but I trust Tenso because it is recommended by the San-X Net Shop. 10 Tips for Identifying Quality & Genuine Rilakkuma Plushies! Disclaimer: these tips are specific to the smaller ~22 cm collectible plushies (like this, this, and this) sold in stores and events, not the UFO catchers, licensed goods, larger sizes, or extra-company collaborations (like Lawson plushies). These guidelines may be more applicable to recent releases and may not hold true for older ones. I am not affiliated with San-X; this list was compiled strictly from personal observation and experience. As a Floridian, buying Rilakkuma plushies in-store is almost impossible without also buying a plane ticket. Even though there are stores that are official domestic carriers around the US, they’re predominantly located on the West Coast and pockets in the Northeast. To make matters worse, I have no knowledge of the Japanese language beyond “watashi wa kuma desu” (私はクマです) so browsing Japanese sites is out of the question for me (especially since many do not ship internationally). Bummer. A quick look at the official San-X shop list and you can access the locations and websites of stores that carry licensed San-X products. In the US: Maido, Tamaya, Toyko Japanese Lifestyle, and Kawaii Gifts are all licensed San-X carriers that operate online stores. Usually the shipping cost will be relatively cheaper/faster since it is domestic, and there’s no customs hoopla. Of course, many times their stock is limited or out of season, which may not be great if you’re looking for plushies or limited edition items. However, this can also work in your favor if you’re lucky: stocking out-of-season items means you might have another chance at catching plushies that are no longer sold in official Rilakkuma stores. 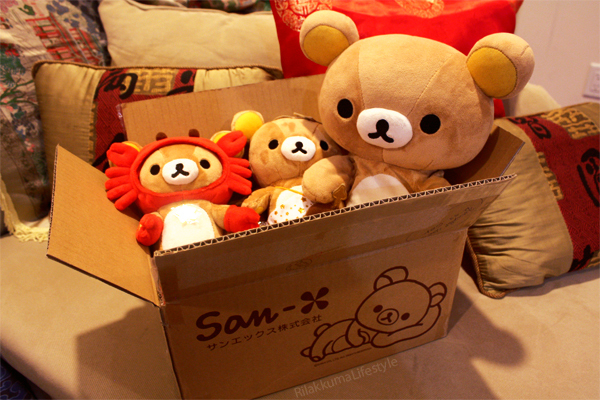 In general, these online stores are very reliable if you’re simply browsing for Rilakkuma items. I have a US-centric experience, so elsewhere, YMMV. You can try the other licensed sellers outside of your country who are willing to ship internationally, too, but they may charge a higher shipping fee, and it may take a while for your purchases to reach you. I haven’t used modeS4u, an officially listed store based in Hong Kong, but the pricing looks pretty reasonable and the pictures show you the actual product (versus just the catalogue picture), which is an encouragingly good business practice – may be worth a shot. This is my preferred method of ordering Rilakkuma plushies mainly because of the direct communication options that are inconvenient in a lot of other online stores and since I’m really picky (and can only read English). eBay can be a really good resource if you have a specific item in mind; however, the number of fakes listed is staggering. I estimate that on any given day with a simple “Rilakkuma” search, the amount of fakes outnumber genuine products at least 50:1. It’s disheartening, but it’s definitely possible to navigate through, as long as you can differentiate the genuine products from the fakes (more on this in a later post). Shipping costs can be kind of all over the place depending on the seller, but the communication platform on eBay is pretty solid. Tenso is a forwarding service that is recommended by the San-X Net Shop. Since the Net Shop doesn’t ship internationally themselves, Tenso will give you a Japanese address (a warehouse), and they’ll forward your San-X things from there! The Net Shop does not stock every Rilakkuma item, but you can access hundreds of products, AND sometimes there are Net Shop exclusives! I highly recommend Tenso for Rilakkuma purchases, but since the Net Shop is almost entirely in Japanese, it might be rough to navigate. I use Google Chrome for their auto-translate function – even though the translation isn’t perfect, it’s been good enough to place and order for me. There are a few independent sellers on different corners of the internet who use different platforms to sell Rilakkuma things. Like eBay, some of them are collectors that are selling their stock for whatever reason, some are stores that cater specifically to collectors, and others may be Japanese/kawaii interest sites. The reason I place this kind of seller in its own category because this platform presents a different buying experience – it’s pretty much a grab bag. There are some online stores with notoriously bad reputations, but sadly there isn’t a comprehensive blacklist to definitively know who’s a bad guy yet. 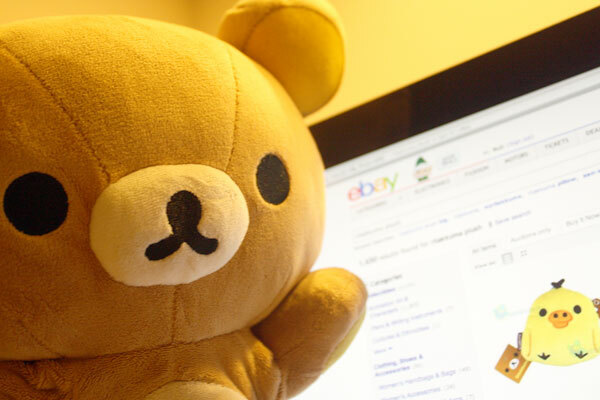 Without the feedback system and buyer protection policies of larger auction sites, using this method can be a gamble, but there is a ton of diversity out there – with a discerning eye and careful online shopping practices, you could easily find that Rilakkuma you were looking for! Some websites, bloggers, and sellers offer consulting services to help you find what you’re looking for. This could mean putting you in touch with a seller in their network that already has the plushie, or a trustworthy agent based in Japan who can directly access actual Rilakkuma stores or Japanese auctions that only ship domestically and/or require a Japanese card/account. Japanese auctions/stores have SUCH a huge assortment of genuine Rilakkuma stuff; it is incredible. Or, it can be an agent who can help you navigate through Taobao (a Chinese online marketplace) since that site uses Alipay which requires a Chinese card/account – this site has about as many (if not more) fakes as eBay though. In general, these agencies may be able to save you a lot of money in international shipping. They will charge a service fee, but this can be really helpful for someone who doesn’t know Japanese/Chinese but needs access to the extended Asian market. Certainly not necessary, but could be more convenient. Even though sorting out all the fakes can be tedious, finding great sellers and rare products can be very rewarding. Many times, a reliable seller can also help you track down other Rilakkuma items in the future! However, if you’re like me, this can be a blessing or a curse because I end up spending more and more money on Rilakkuma haha. Ultimately, searching for Rilakkumas can be quite the adventure, but with a little elbow grease (keyboard grease? ), a whole world of Rilakkuma can be accessible right at your fingertips!